Injured in an Uber accident? 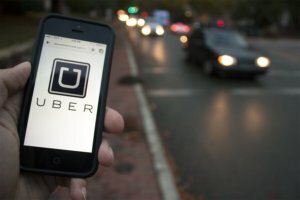 What happens if you are injured in an Uber accident? Who will pay for your medical bills and damages? There are a couple possible scenarios. If your Uber driver caused the accident, you are covered by Uber’s auto insurance through James River Insurance. Assuming your driver was “on platform”, James River Insurance is liable for your bodily injury claim. Uber has $1 million in liability coverage. Uber also has personal injury protection benefits or PIP. If your Uber driver causes an accident and you are injured, a bodily injury claim should be presented to James River Insurance. As an innocent passenger, you are entitled to both the bodily injury claim and the personal injury protection benefits. James River Insurance is required to reimburse medical expenses and/or lost wages up to $2,500.00 through PIP benefits in addition to any bodily injury settlement. Uber passengers have the benefit of a $1 million policy limit and personal injury protection benefits. However, if you waived PIP or live with a family member who waived PIP, you are not entitled to PIP benefits through Uber’s insurance. If another driver caused the accident, an injured Uber passenger simply makes a bodily injury claim with the at fault vehicle’s insurance company. Uber has $1 million in uninsured and underinsured motorist coverage. If you are a passenger in an Uber that is involved in an accident caused by an underinsured or uninsured driver, there is bodily injury coverage up to $1 million. The uninsured motorist coverage also applies if your Uber driver is involved in a hit and run accident. In these scenarios the Uber passenger is eligible for personal injury protection benefits. As with any auto insurance company, James River Insurance will do everything it can to pay the minimum to Uber passengers who are injured in car accidents. The injured Uber passenger should contact an attorney familiar with Uber and James River Insurance. Nicholas A. Parr settled and litigated dozens of lawsuits with Uber and James River insurance. Contact the Law Offices of Nicholas a. Parr if your Uber driver was in an accident.